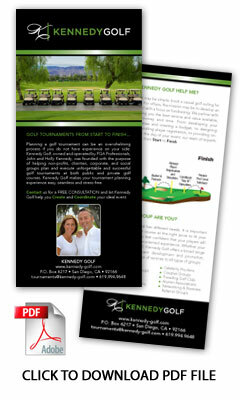 This is the web site of Kennedy Golf LLC. We have the right to reject any user content submitted for publication. Holly, thanks so much for all your help, I couldn't have pulled this one off without you. I'm so thrilled with how the day played out. EVERYONE had a great day and many have said it's our "BEST" yet! Again...thanks for everything!